With less than 3 months remaining until college basketball tips off, the Dayton Flyers left the country to get some early work in. Just a couple days ago, Archie Miller’s team returned from a 10 day trip to Spain that was highly successful. The Flyers began their trip in Madrid, then spent the second half of it at Barcelona. Dayton’s whole roster made to voyage, allowing for a once in a lifetime experience and a whole lot of bonding time. Not only did the Flyers get to see some incredible sights, they also had the chance to scrimmage a couple Spanish pro teams. In Dayton’s first exhibition game they took on the Spanish Select. The Flyers struggled early inside the basketball complex at Real Madrid Ciudad, but battled back to make it a game. Despite Josh Cunningham putting up 12 points and grabbing 11 rebounds, Dayton fell in a close one 64-58. Sophomore forward Ryan Mikesell came off the bench and did a little of everything. He finished with 6 points, 5 rebounds, and 5 assists. Senior leaders Charles Cooke and Scoochie Smith both dropped 11 points in the Flyer’s fight. Even though Dayton didn’t come away with the win, they had no time to hang their heads, needing to regroup and switch cities before their final contest. For their second exhibition game, Dayton hopped on a train to Barcelona where a tough test awaited them. The Flyers took on the Barcelona All-Stars and played an all around great game. Five Flyers scored in double figures as Dayton grabbed the win 83-73. Despite trailing 24-17 after the first quarter, the Flyers showed a lot of fight to come back at Palau Municipal d’escorts de Badalona. For those who don’t know, that is the same arena the U.S. Dream Team won gold at in the 1992 Olympics. While it was only an exhibition, a win like this sends Dayton home happy and gives the Flyers a lot of confidence going forward. In the end, Dayton’s trip to Spain was a huge success. The Flyers gained a lot of solid basketball experience playing against foreign pros. The two exhibition games enabled coach Miller to play a lot of guys and figure out what he really has heading into this season. Although Kendall Pollard did not play due to recovering from an injury, other guys stepped up. Sophomore transfer Josh Cunningham looked the best out of everyone. Cunningham carded a double double in both games and is certainly making a strong case to be the Flyer’s fifth starter this year. Fellow sophomores Sam Miller and Ryan Mikesell also had impressive trips, while Scoochie Smith and Charles Cooke played great as usual. 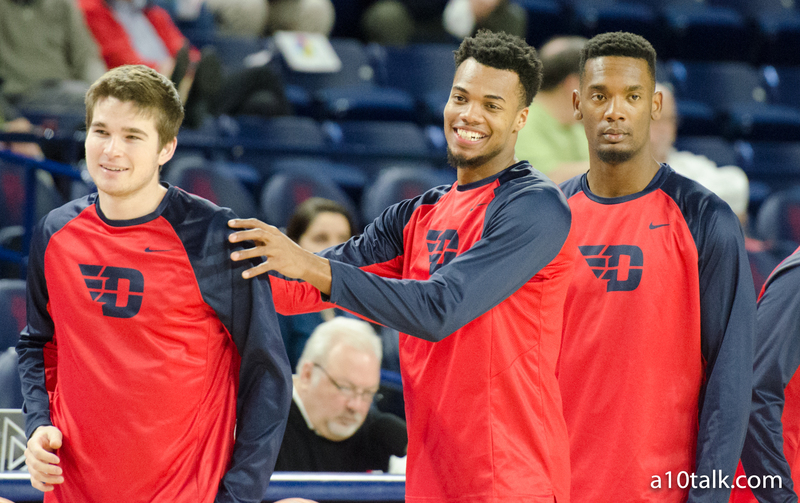 The trip to Spain not only made Dayton better on the court, it also brought this True Team closer together off of it. With the team chemistry and talent level at an all time high, the Flyers seemed poised for a big 2016-17 season.